Happy Valentines Day everyone! 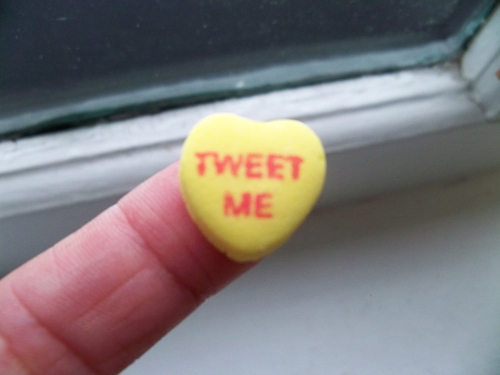 I love the new messages on sweethearts! This one was my favorite! Aaron brought it home for me. 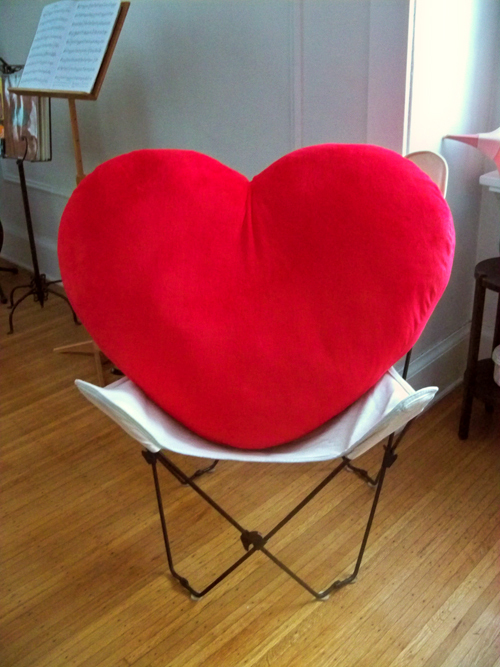 When I got up this morning there was a giant pillow heart waiting downstairs for me. Both Stewie and Oscar have been eyeballing it as a potential napping location - no! Bad kitty! Down boy! Loving that big red heart pillo! Hello. I'm looking for a pillow just like this. May I ask where it is from? I got it at Target.